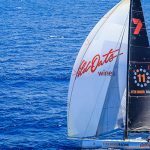 The third of seven Ocean Summits commenced on Monday the 21st at the Volvo Ocean Race Pavilion at the Kai Tak Runway Park. 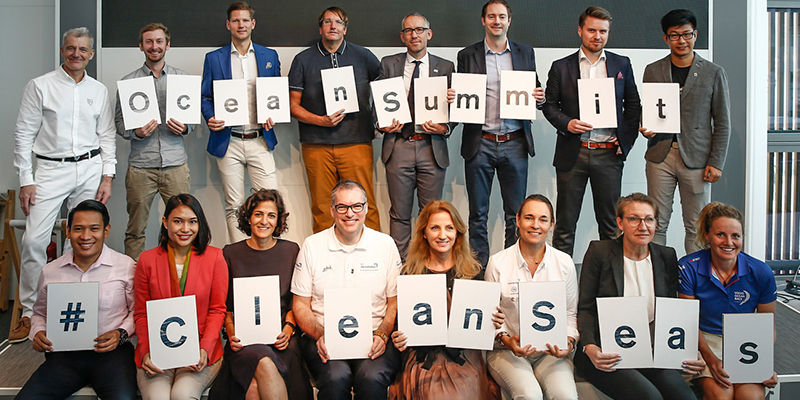 Sailors, scientists, government and business leaders gathered for an eventful day dedicated to the ocean at the Volvo Ocean Race Village. 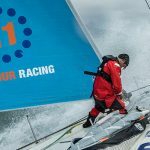 The event is a focal point for 11th Hour Racing’s partnership with the Volvo Ocean Race and is focused on creating solutions to solve the plastic pollution crisis facing our oceans. The summit brought leaders from around the world, and just across the harbor to discuss plastic pollution. A 2015 report from Ocean Conservancy, estimated that over half of land-based plastic leakage comes from just five countries, and all five have coastlines in the Pacific Ocean. 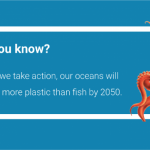 By knowing where the most work is needed, we have the opportunity to create change – and what better place to discuss turning the tide on plastic, than where solutions are most needed. The morning was kicked off by Johan Salén, co-president, of the Volvo Ocean Race and Anne-Cécile Turner, Sustainability Programme Manager with their introductions highlighting the Volvo Ocean Race’s commitment to sustainability. 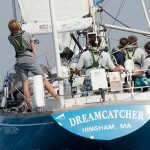 Next, Wendy Schmidt, President of The Schmidt Family Foundation and Co-Founder of 11th Hour Racing, recapped the success seen at previous Ocean Summits and announced via video that 11th Hour Racing’s formal signing of the #CleanSeas pledge. The morning also featured speakers well versed in the fact that ocean plastic is a global problem, but here the concept of thinking globally, acting locally, has the power to make a difference worldwide. Speakers from the United Nations, World Wildlife Fund, and the China Scrap Plastics Association underscored these challenges and opportunities. 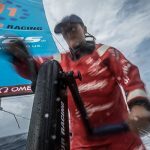 Dr. Sören Gutekunst gave an update on the incredible scientific data that the Volvo Ocean Race Science Programme is gathering throughout the race. He shared that the microplastic research being done on Turn the Tide on Plastic found over one million microplastic particles per square kilometre of ocean were found in the Southern Atlantic Ocean, west of Cape Town, South Africa. And on the third leg of the race, one and a half million microplastic particles per square kilometre of ocean were discovered east of South Africa. In Australian waters, close to Melbourne, one million microplastic particles per square kilometre of ocean were found. Read more about this fascinating topic, here. Stiv Wilson from the Story of Stuff, a non-profit dedicated to changing the take-make-waste economy, fighting to keep drinking water public and free, and finding solutions to end plastic pollution. 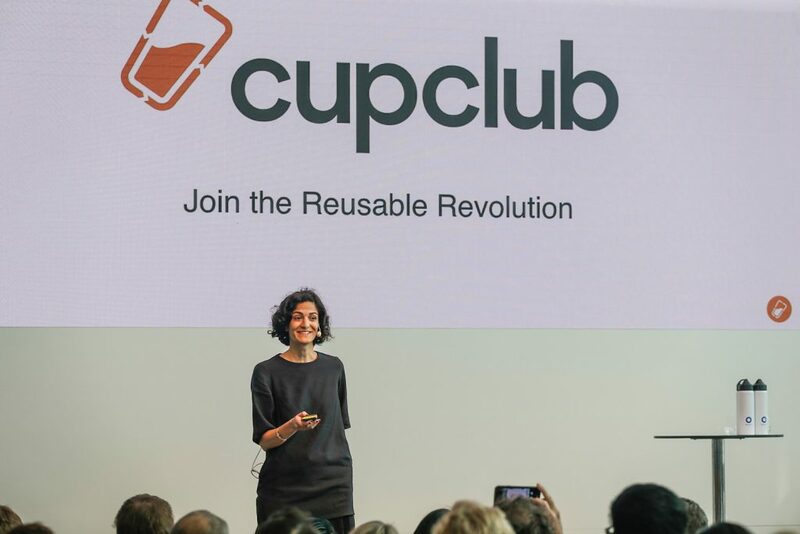 Safia Qureshi founder of the Cup Club, who started a small project to rid a college campus of single-use coffee cups, and is now the proud winner of the New Plastics Economy Innovation Prize. The Cup Club combines a set of proven technological solutions (RFID tagging, mobile interface, Internet of Things) to track individual cups and reward their users for being in the system. 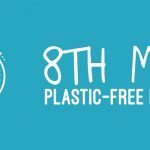 The event ended with a dedication to finding more solutions and turning awareness of plastic pollution into action: two hands-on workshops dedicated to discussing the use of single-use plastics at events in the region, and a panel discussion and Q&A session including organizers, venues, suppliers, solutions providers, consultants, and specialists. Each gave a short introduction to their sustainable event management focus, issues and achievements. 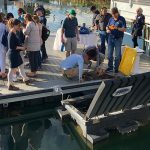 We are looking forward to the next Ocean Summit in Newport, RI on May 18th.